One of the key ingredients for the most scary looking house on the end of the street is lighting a few select candles. I've always thought it was interesting that candles are haunting yet romantic at the same time. 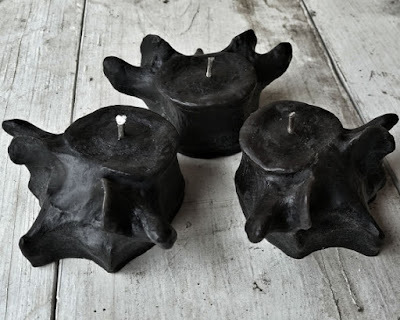 For this Halloween, decorate your house with Grave Digger Candles from Etsy. The name is as clever as the product itself. 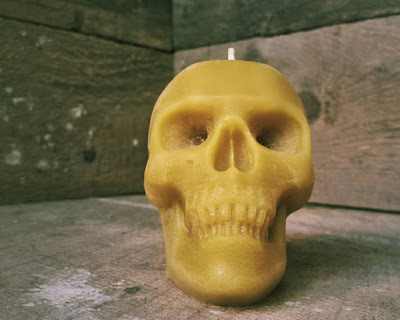 These unholy beeswax hand-crafted candles will delightfully spook your friends and family. Plus they are just fun to have around the house! 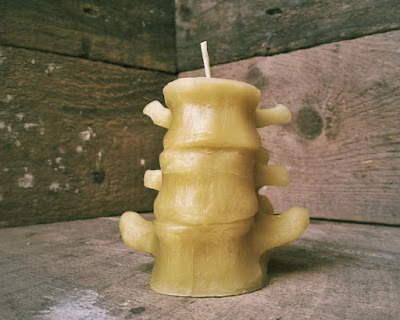 These are adorable vertebrae tea light candles! Never would I have thought human vertebrae could be cute, trust me. I like the thought of having these placed around as a way to create creepy shadows. I'm just not sure if people would recognize this as being a vertebrae, unless you're a bit of an anatomy nerd. Now it's apparent this is a short human spine! Even the natural color of the beeswax works to make it look like it came right out of a grave. Light it on the beginning of Halloween night and see how long the spine lasts! 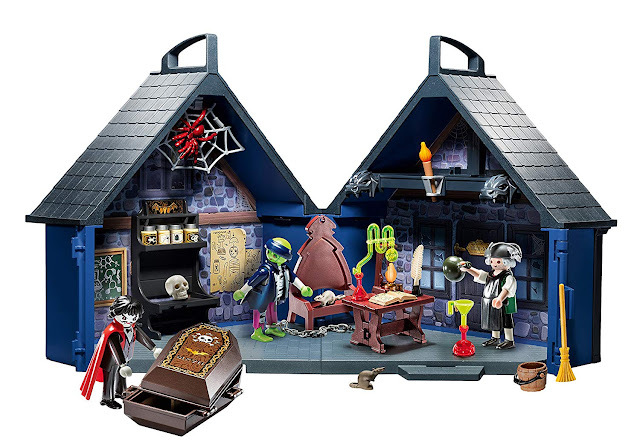 This would uniquely set the mood for a Halloween party or privately for your own satisfaction. 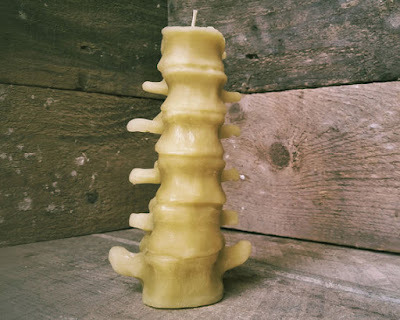 I promise this is my last human spine candle. I just think they're really awesome and can be used for many Halloweens! Even the most avid candle burners won't be able to burn through this whole candle in a day. This might freak out some of the kids, but that's the point! Aren't these super precious? 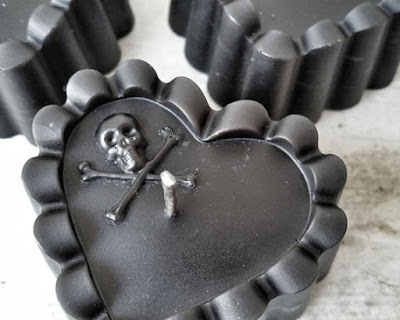 I think these black heart candles work better as a dark gift rather than a Halloween candle. 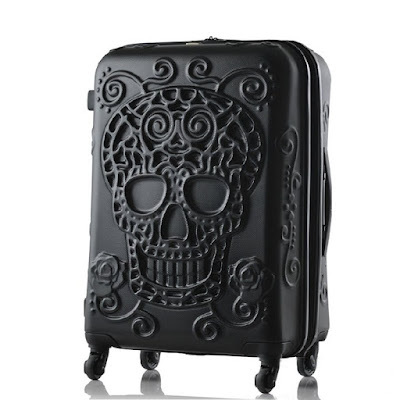 You can still use it for the holiday though, some people would find this to be very spooky! Plus, they're still candles with personality! Along with all of the spines, we probably should have a skeleton candle. It symbolizes one of the things that people fear most of all, death. The skull is also a Halloween classic! I really enjoy these coffin candles the most out of all of them. I like that it looks like a scene rather than just a candle itself. It's a coffin sticking out of some dirt with a little skull on the side. Mostly I would be afraid to light this because I wouldn't want it to get all melted. These are just a few examples of the candles available. They come in different colors and other creepy shapes too! 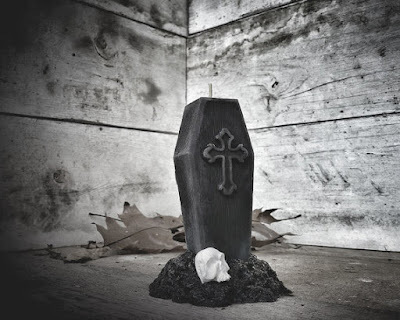 Take a look at Grave Digger Candles on Etsy. How do you feel about lighting these during Halloween? Which colors would you use? Tell me about it in the comments below!